WASHINGTON, DC, April 5, 2017 (ENS) – Effective today, the U.S. Environmental Protection Agency is denying a petition by two environmental groups who ask that the agency revoke all food residue tolerances for the pesticide chlorpyrifos. But the groups went back to court today to appeal that decision. The petition was filed decade ago, in September 2007, by the Pesticide Action Network North America, PANNA, and the Natural Resources Defense Council, NRDC. 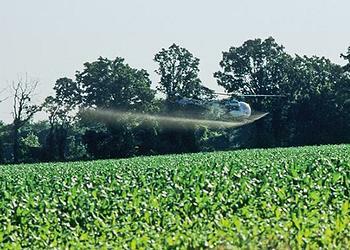 The U.S. Environmental Protection Agency was on course to ban the pesticide in March following a November 6, 2015 proposal to revoke all chlorpyrifos tolerances based on the potential for the pesticide to cause neurodevelopmental damage to infants and children from exposure both in the womb and during childhood. “By reversing the previous Administration’s steps to ban one of the most widely used pesticides in the world, we are returning to using sound science in decision-making, rather than predetermined results,” said Pruitt. EPA has concluded that, despite several years of study, the science addressing neurodevelopmental effects remains unresolved and that further evaluation of the science during the remaining time for completion of registration review is warranted to achieve greater certainty as to whether the potential exists for adverse neurodevelopmental effects to occur from current human exposures to chlorpyrifos, says the Federal Register notice issued today denying the petition. EPA has concluded that it will not complete the human health portion of the registration review or any associated tolerance revocation of chlorpyrifos without first attempting to come to a clearer scientific resolution on those issues. Pruitt took “final agency action,” which may not be revisited until 2022. Congress has provided that EPA must complete the chlorpyrifos registration review by October 1, 2022. “This frees American farmers from significant trade disruptions that could have been caused by an unnecessary, unilateral revocation of chlorpyrifos tolerances in the United States,” said Kunickis. “It is also great news for consumers, who will continue to have access to a full range of both domestic and imported fruits and vegetables,” she said. But the petitioners don’t think the denial is such great news, and they are taking the Trump administration to court over it. Litigation was filed today by the Natural Resources Defense Council and Pesticide Action Network to overturn the EPA’s denial of their petition. NRDC and PAN, represented in the U.S. Ninth Circuit Court of Appeals by Earthjustice, today filed a motion to enforce the previous court order and require EPA to make a decision on the proposed ban within 30 days. The groups argue that EPA cannot delay its decision on the ban any further because it has not presented any new scientific research that reverses their findings last fall that the pesticide is dangerous and widespread on U.S. produce. Scientific studies show that exposure to low levels of the pesticide in early life can lead to increased risk of learning disabilities, including reductions in IQ, developmental delay, and behavioral problems, such as ADHD. “EPA is refusing to take this chemical off the market, but it is not rescinding its own scientists’ finding that this pesticide is toxic to children,” said Miriam Rotkin-Ellman, senior scientist at NRDC. “Parents shouldn’t have to worry that a dangerous chemical might be lurking in the fruits and veggies they feed their kids. The health of our children must come before chemical corporations,” she said. The organophosphate insecticide was introduced in 1965 by Dow Chemical Company and is known by many trade names including: Dursban, Lorsban, Bolton Insecticide, Nufos, Cobalt, Hatchet, and Warhawk. It acts on the nervous system of insects by inhibiting acetylcholinesterase. Chlorpyrifos is toxic to humans. Exposure has been linked to neurological effects, persistent developmental disorders and autoimmune disorders. Exposure during pregnancy retards the mental development of children, and most home use was banned in 2001 in the United States. But it is still used today at some 40,000 U.S. farms on about 50 different types of crops. 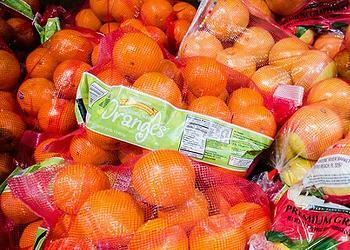 Soy, corn, alfalfa and oranges account for most chlorpyrifos use in the United States. The pesticide also is applied to more than 30 percent of domestic apples, asparagus, broccoli, cauliflower, cherries, cranberries, grapes, onions and walnuts. Products are sold as liquids, granules, water dispersible granules, wettable powders, and water soluble packets, and may be applied by either ground or aerial equipment. Last week, the Environmental Working Group, EWG, which is not one of the petitioning groups, delivered more than 80,000 petition signatures to the EPA urging the agency to uphold the ban on chlorpyrifos. Chlorpyrifos can be harmful if it is touched, inhaled, or eaten, according to the National Pesticide Information Center. Chlorpyrifos is used to control many different kinds of pests, including termites, mosquitoes, fire ants and roundworms. Products with chlorpyrifos in them are used in agriculture for feed and food crops and in cattle ear tags. Products containing chlorpyrifos are also used to treat wood fences and utility poles. Chlorpyrifos was first registered as an insecticide in 1965 and the United States Environmental Protection Agency (US EPA) re-registered it in 2006. Pure chlorpyrifos is made up of white or colorless crystals. It has a slightly skunky odor, like rotten eggs or garlic. The only legal indoor use for chlorpyrifos is in containers with treated baits. Chlorpyrifos works by blocking an enzyme which controls messages that travel between nerve cells. When the enzyme is blocked, the nervous system can’t send normal signals. This causes the nervous system to malfunction and this is how it eventually kills the pest. One of the most-used pesticides in the United States, chlorpyrifos has been killing birds and poisoning the environment for the past 50 years, says the American Bird Conservancy, which has been calling for a ban on the use of the pesticide for years. 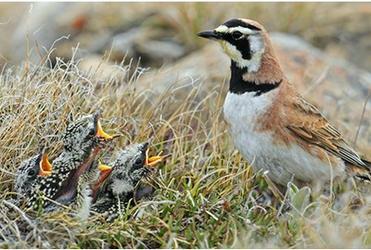 “We’re disgusted by Mr. Pruitt’s decision to yield to corporate interests, given the dangers posed by chlorpyrifos to birds, children, and agricultural workers,” said Cynthia Palmer, Pesticide Program Director at the American Bird Conservancy. Chlorpyrifos is very toxic to many bird species such as grackles and pigeons, and it is moderately toxic to others such as mallard ducks, says the National Pesticide Information Center, NPIC. Chlorpyrifos is also very toxic to fish and aquatic invertebrates. It may build up in the tissues of fish and other animals that eat smaller animals, says the NPIC. Regardless of these issues, the American Soybean Association welcomed the EPA’s denial of the petition to remove chlorpyrifos from the market. “The denial of the activist petition on chlorpyrifos came on the heels of statements from academia, farmers and consumers alike, all bearing out the safety of this product when used correctly and in accordance with the manufacturer’s label,” he said. “Clearly there is a valuable and necessary role for EPA and other federal regulators in ensuring that products in the marketplace are safe, and it’s important that all parties recognize moving forward that those decisions must be made only on concrete scientific data,” said Moore. The American Soybean Association represents all U.S. soybean farmers on domestic and international policy issues important to the soybean industry. ASA has 26 affiliated state associations representing 30 soybean producing states and more than 300,000 soybean farmers.